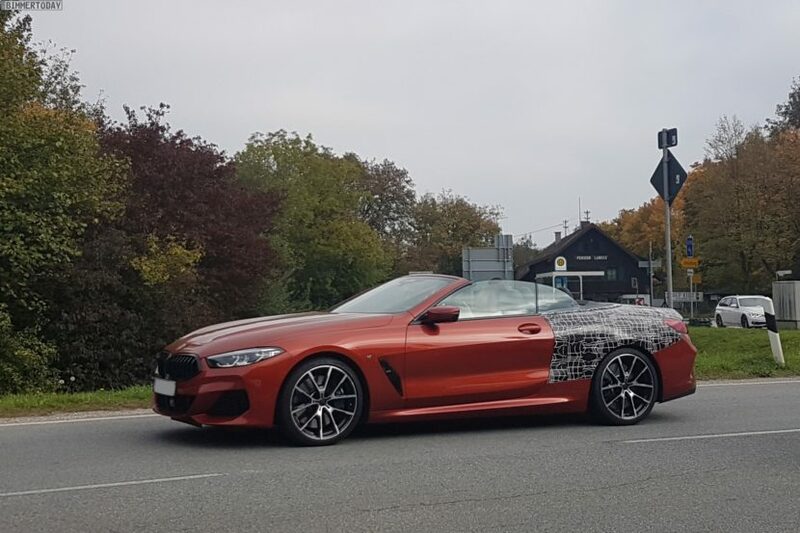 The BMW 8 Series Convertible is currently making its rounds around Munich with just a few weeks before its official debut. This latest prototype barely wears any camouflage and it’s featured in the Sunset Orange color. In our photos, the BMW 8 Series Convertible also features the M Sport package, a configuration that is also very popular with the Coupé, especially in conjunction with the optional Carbon Package. The camouflage part is trying to hide the final details of the soft top, but essentially, the overall design is nearly identical to the coupe. The way that the convertible 8 Series till retains the coupe’s rear wheel arches and muscular haunches looks great, even without the roof. It’s also one of the most elegant convertibles we’ve recently seen. It has all of the classic sporty ‘vert styling cues and it looks very pretty. 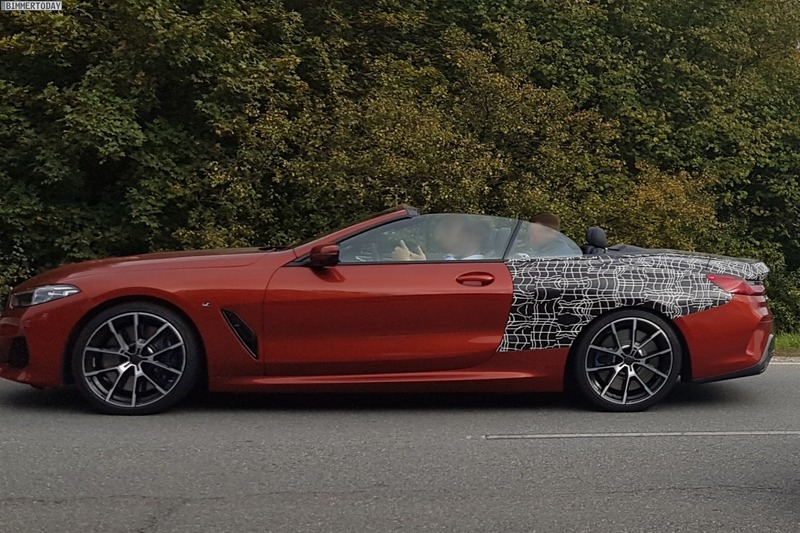 As mentioned above, the 8 Series Convertible will be keeping a folding fabric soft-top roof especially since the 6 Series Convertible also had one and it looks far more elegant and luxurious than a power folding hard-top. The fabric roof saves weight which is important considering the additional weight due to extra strengthening along the flanks to make up for the reduced structural integrity brought about by the loss of the fixed roof. In all, the drop-top is likely to be around 100kg-125kg heavier than the Coupe. The entry-level Convertible is expected to be the 840d with around 320 horsepower, while the the range-topping M850i variants will be powered by a 530 hp 4.4-litre twin-turbo V8, which, in the Coupe, is capable of delivering a 0-62mph sprint time of 3.7 seconds; that figure is likely to increase to around four seconds due to the additional weight of the Convertible. 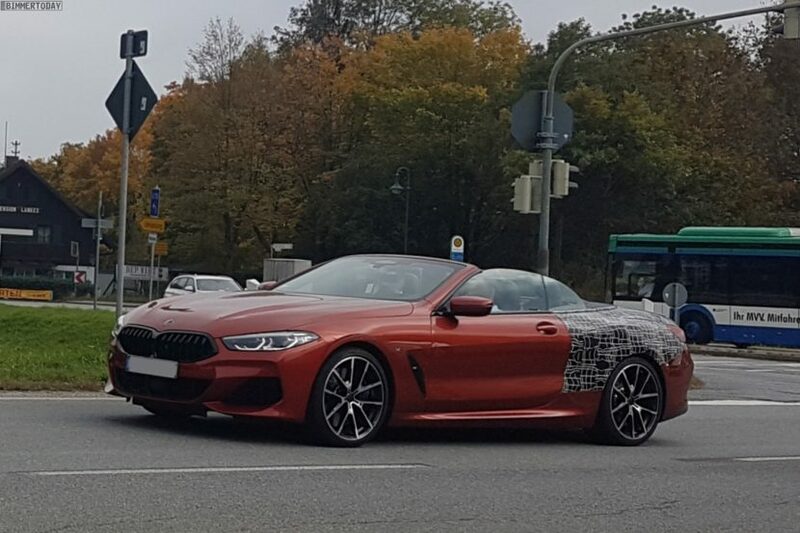 The third body variant of the new BMW 8 Series – the four-door Gran Coupe – will be launched at the end of 2019. Although it belongs to the 8 Series family, just like the two-door model, the Gran Coupé targets a completely different customer group and combines the sporty concept of the series with high practicality. Next post BMW M2 Competition – 7:52.36 min on Nurburgring!